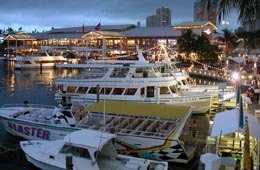 Bayside Marketplace is located in Downtown Miami, next to the American Airlines Arena. When visiting the Mall, guests can shop at over 125 stores, eat at well-known restaurants, or take a City tour. Bayside offers live entertainment twice daily: 2pm to 6pm, & 7 to 11pm.You can also find fun attractions such as a ferris wheel, a virtual terminal ride, and a bungee trampoline. Take I-95 South toward Downtown Miami. 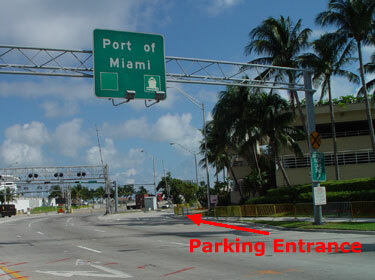 Exit BISCAYNE BLVD. NE 2ND AVE. Turn Right (South) on NE 2ND AVE. Turn Left (East) on NE 5TH ST. Stay in Right lane. After crossing BISCAYNE BLVD., veer Right in to the Parking Lot. Leaving the Airport, follow signs to 836 East (Beaches). The parking rates are $3 for the first hour, $2 for each additional hour, up to a maximum of $10 for the day. Early Bird Parking is available for those who arrive before 10am, and exit the garage by 6pm. This special rate is $4 for the entire day.